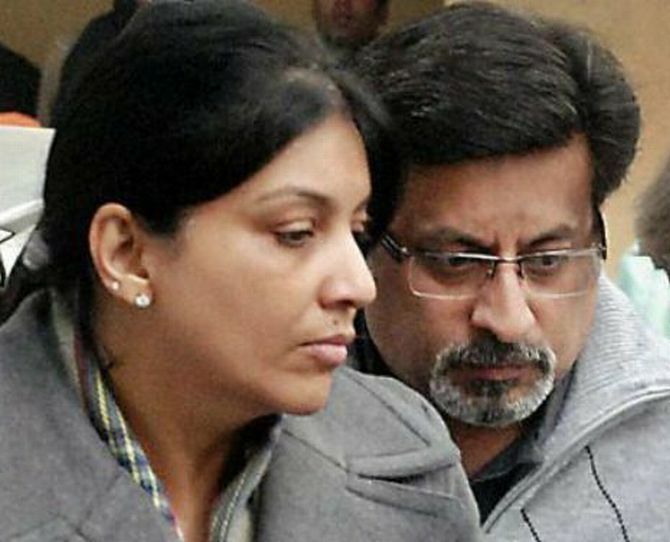 The Allahabad high court on Monday denied bail to Rajesh Talwar and Nupur Talwar, who have been awarded life sentences by a Central Bureau of Investigation court for the murder of their daughter Aarushi and domestic help Hemraj, but ordered speedy hearing on their pleas against the conviction. A division bench comprising Justice Rakesh Tiwari and Justice Anil Kumar Agarwal refused to grant bail to the Noida-based dentist couple, ‘looking into the gravity of the offence, nature and the manner in which the crime has been committed’. The court, however, ordered that hearing on the appeals filed by the couple against the CBI court order (dated November 26, 2013) awarding life sentence to them be ‘expedited’. The court fixed May 28 as the next date of hearing in the matter. The couple, after having filed an appeal against the CBI court order in January, had moved bail applications seeking release while their appeals were pending. Aarushi, 14, was found murdered inside the Talwars’ residence in May 2008, while the body of Hemraj, who was initially suspected for the killing, was recovered from the terrace of the house a day later.